How to make your clients stay? Improve their customer service satisfaction! 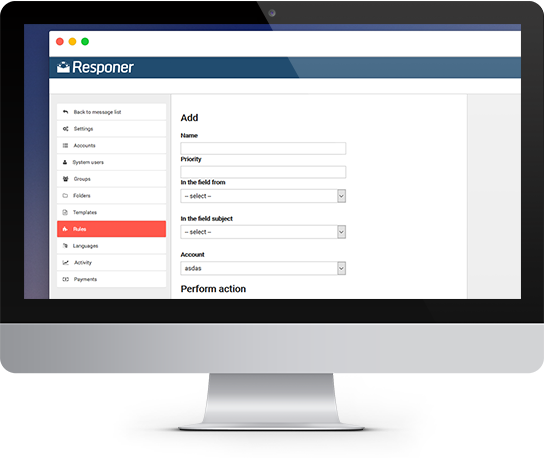 Get help from Responer - a simple system to handle customer requests in a small company. You get the more and more inquiries from clients and it is increasingly difficult for your team to ensure good customer service using a common mailbox. 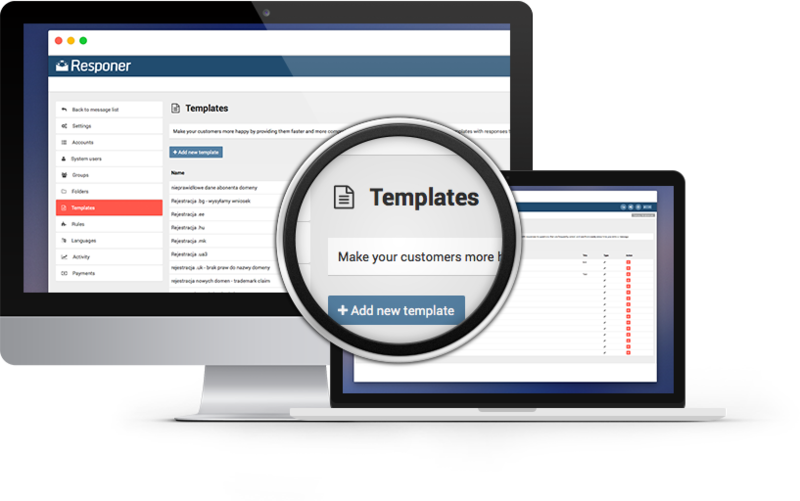 A typical helpdesk system has thousands of features you will never use. Plus, it is so complex that you spend more time on learning it than on working on your business. 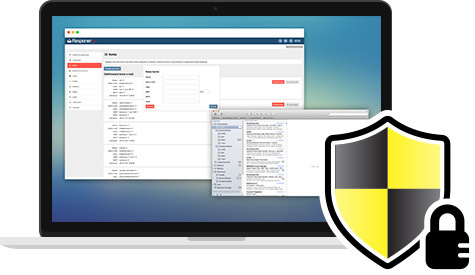 What about email on steroids? We have a perfect solution. 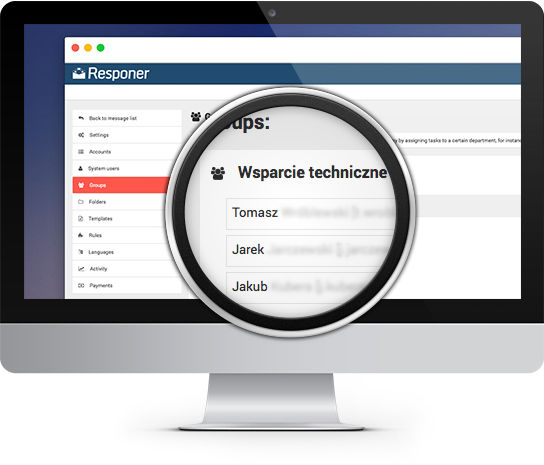 Responer, a simple to use system as convenient as e-mail while at the same time giving you the possibilities of an extended helpdesk system. Already tested in action by many companies! Stop losing customers because they didn’t hear back from you. 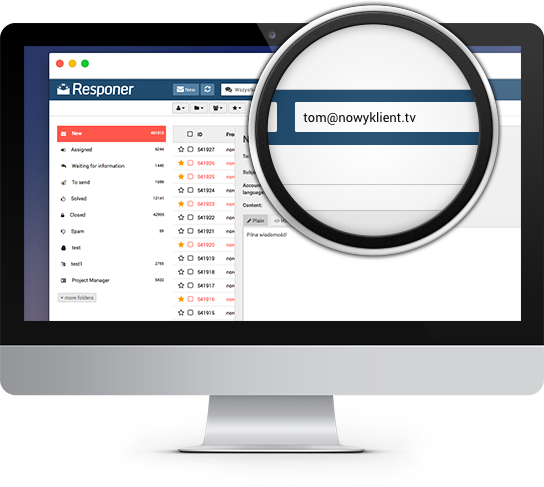 Responer displays all inquiries on one simple list. Plus, it groups them in threads allowing you to quickly react to any request. From now on, no e-mail will ever get lost or be left unanswered. Do not make your client wait for a response and avoid sending duplicate responses from a few employees. In one click, assign the inquiry to the person or group that has to deal with a given task. Stop wasting your time on searching for messages. The search engine is the heart of the system - it will quickly search through the tens of thousands of e-mails to find that one important message. We know how important the efficiency of the system is in daily work! Increase employee productivity thanks to response templates. Customers keep asking you the same or similar questions? Prepare your response templates once and use them with one click when replying to client emails. Customer's question requires an internal consultation? Leave a note visible only within the company. Internal communication is intertwined with communication with the client, so you are always up to date when solving a problem. Automatically sort messages to make them fall into the appropriate folder or status - split them into groups of clients, system messages, e-mails from suppliers. 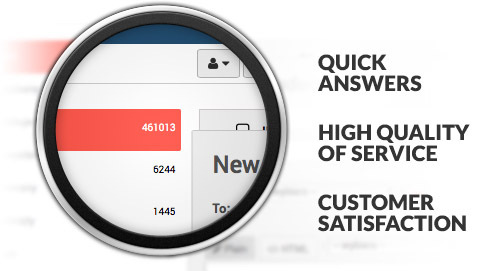 You can easily get rid of spam and focus on the most important - your customers! We will give you up to two months to test our system, so you have enough time to find out what it has to offer. No strings attached. 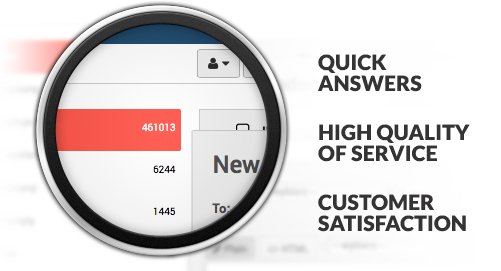 See for yourself how much easier customer service could become. Forget your old ways of responding to emails! Creating your account will take just a couple of minutes. Besides, if anything happens you can easily stop using our system at any time. The more your customers will be satisfied with the speed and quality of your response, the greater the chance they will return and buy more. Providing high quality customer service, it will be much easier for you to keep regular customers. Choose which way of implementing Responer is the most convenient for you. 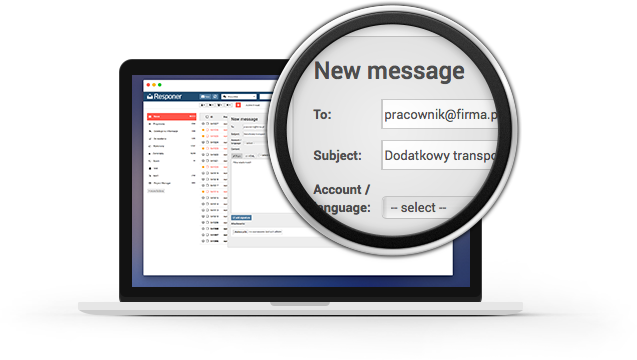 Integrate your existing mailbox or redirect messages to the e-mail address that has been created for you. We know how important it is to respond to customers in a timely manner. Therefore, Responer is always at hand - you can use it on your laptop, tablet or your phone. Regardless of time and place, you can always keep your finger on the pulse and provide excellent customer service.